Ahh! 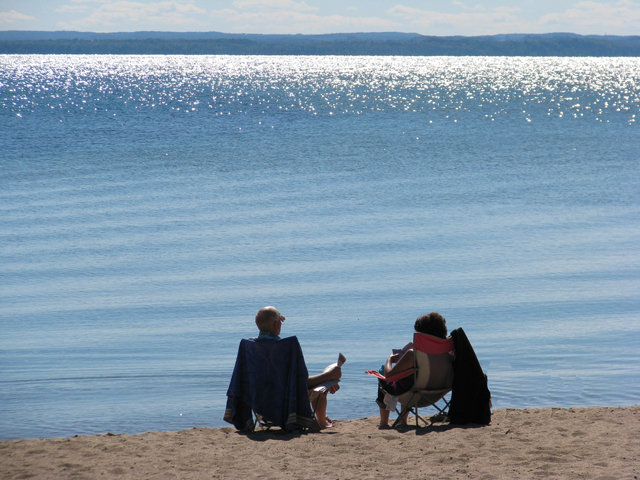 It was a perfect fall weekend: cool dry air, warm sunlight, a bright glitter on the bay, a hint of color in the leaves – and the water just warm enough to do a little swimming for those brave enough to make that first plunge. Well, that wasn’t me. Instead, I decided to walk around the village of Old Mission and take pictures. It’s a quiet little place most of the time. Except on summer weekends when things get rambunctious at the beach, or when the goats and the burro down the road put on their evening concert, it’s the kind of town where you can hear the wind in the leaves or the chirping of crickets and tree frogs. A place full of history and charm. It all started in 1839, when a wiry Presbyterian minister named Peter Dougherty beached his tiny boat below an Indian village near the mouth of East Grand Traverse Bay. He had come at the request of the local Odawa elders, who had just signed an agreement to relinquish their ancestral lands. Realizing that they would soon be overrun by settlers from the East, they asked for missionaries and teachers to help them successfully adapt to a different way of life. Thus began the settlement known as Old Mission, a bright, brief chapter in the often tragic history of America’s native people. For more than a decade, Dougherty and his small colony of teachers, artisans and farmers – Indians and non-Indians alike --lived and worked side by side in this idyllic spot at the water’s edge. Dougherty immersed himself in the lives and beliefs of his native neighbors, helped represent them in their dealings with the government, and eventually moved the entire settlement to a larger site across the bay where the Indians would be able to buy land of their own. Although it was no longer a mission, the village of Old Mission refused to die. 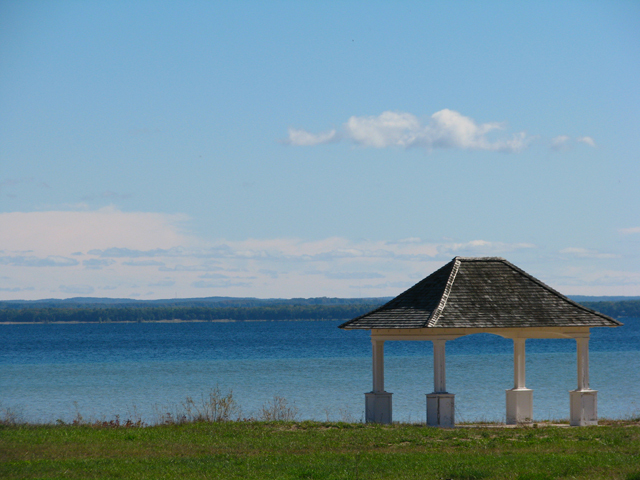 It became a thriving farming and resort community that remains to this day, tucked into a secluded fold of the narrow Old Mission Peninsula, 18 miles from the mainland and the town of Traverse City, a place seemingly frozen in time. Some of its original structures (including the broad frame mission house built by Dougherty and his Indian neighbors in 1842) are still standing and have the look and feel of museum pieces -- except that they’re still being used. 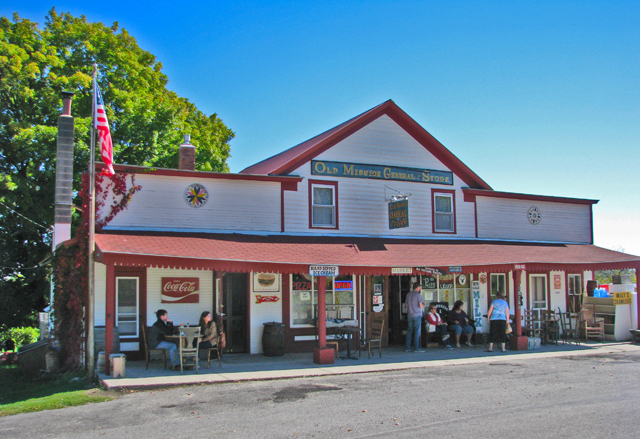 There’s the eclectic Old Mission General Store where visitors can buy anything from ice cream cones to coonskin caps, built in the 1850s to replace an earlier cabin erected by a fur trader. You can stroll down the road past Dougherty’s mission headquarters and the village schoolhouse (now a private residence) to the trim Old Mission Inn, built in 1861, the oldest hotel in the region that’s been in continuous use. Old Mission Inn owners Bruce and Angie Jensen are history buffs extraordinaire, and they’ve done an amazing job of filling the old hotel with period furnishings, framed photographs and fascinating curios. 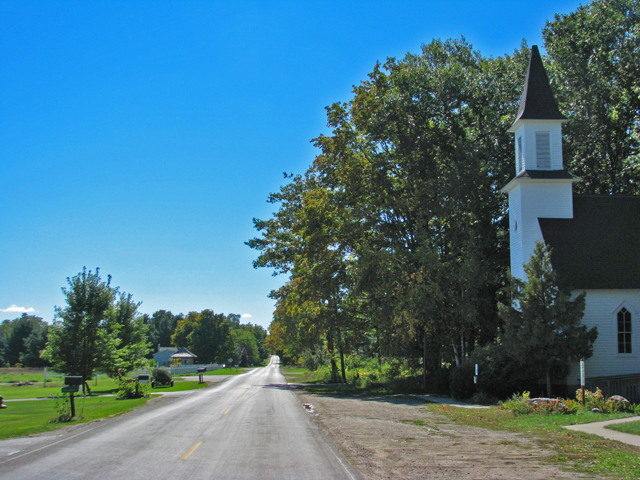 Two doors down is the the New England-style congregational church with its tall white spire, and just around the corner is Haserot Beach, the site of Peter Dougherty’s 1839 landing, now a township park that’s popular with for families because of its protected location and crystal-clear water. Old Mission residents have always been proud of their past; in the 1970s they erected a replica of Dougherty’s original log schoolhouse to house interpretive displays that tell the story of the village. 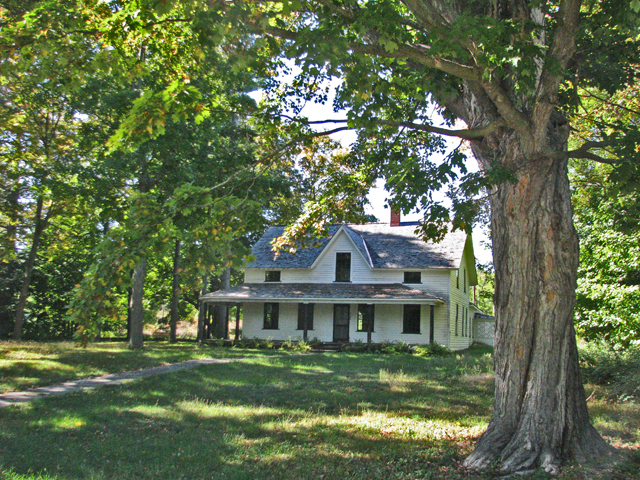 In 2005 they raised over $1 million to help purchase the Dougherty House and the 15-acre site of the adjacent mission settlement; once an archaeological survey of the area has been completed, they intend to convert it into a historical center. Old Mission Harbor , seen from the Old Mission Inn&apos;s front yard. The final design of the mission center is still uncertain, but will probably include a native interpretive area and a historic orchard – a tribute to Dougherty’s role as the founder of this region’s celebrated fruit-growing industry. (He planted the first of what are now millions of cherry trees.) 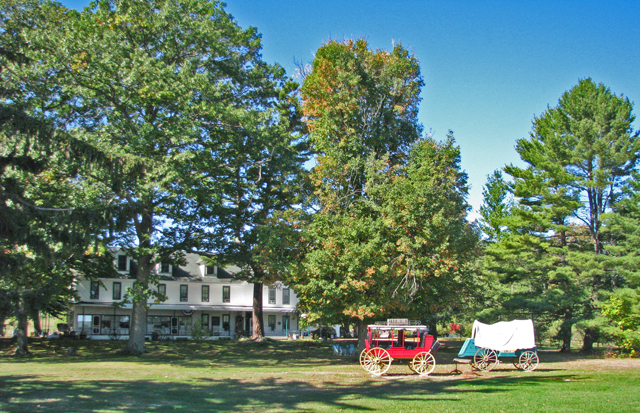 In the meantime, the village remains a popular day excursion from Traverse City, a place of rare beauty where visitors can experience a nearly forgotten chapter of American history. Fall afternoon at Haserot Beach. There’s more history just a few minutes away, too. Three miles to the north is the Old Mission Lighthouse, built in 1870 to warn ships away from the rocky shoals of Old Mission Point. The simple frame structure sits on a low bluff above a wide public beach, where a sign informs visitors that they’re standing on the 45th Parallel, exactly halfway between the equator and the North Pole. The lighthouse is surrounded by acres of public shoreline and parkland, with miles of trails for hiking, cycling and cross-country skiing.